Develop high performance .NET applications having the ability to Create, Edit, Convert, Protect or Print PDF documents, without requiring Adobe Acrobat. Do you need PDF generation functionality for your .net application? 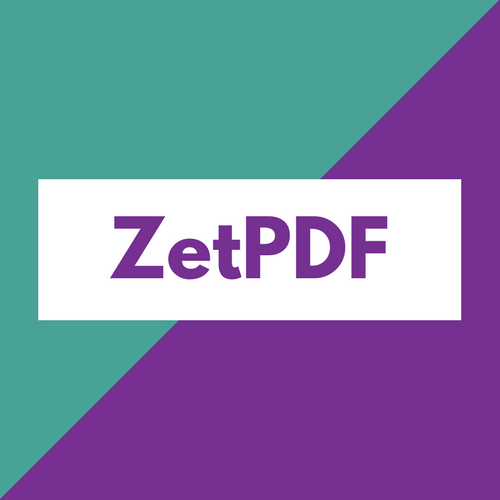 ZetPDF is a .NET SDK for adding PDF render and print support in .NET applications. It includes a PDF viewer control for Windows Forms, WPF and Silverlight and a .NET library for rendering and printing PDF files from any .NET application. The PDF viewer control includes support for annotating PDF files, bookmarks navigation, adding and removing file attachments and other features. The toolkit includes its own PDF rendering engine and it does not rely on any other software for rendering and printing PDF files. ZetPDF toolkit has been developed entirely in C#, being 100% managed code. SDK comes in 2 separate editions, WinForms and WPF & Silverlight. We also support .Net Core. ZetPDF SDK has been designed to solve most developers’ needs with regards to PDF rendering. Listed below are the main features. Search, extract, highlight – some of the most commonly-requested features.